The arrival of autonomous vehicles is an inevitability, so it makes sense that before mass adoption hits, companies like Lyft and Uber would want to band together to determine what our self-driving future will look like. Sounds pretty harmless, right? Translation: These companies want to make it illegal for individuals to use privately owned self-driving cars in big cities, effectively giving the signatories control of our autonomous streets. That doesn’t exactly sound like the freedom-filled future sci-fi writers have been promising, now does it? And what makes it feel even slimier is that many of these companies were founded on the principle of disrupting outdated regimes and giving people more choices at lower costs. But the minute they get a chance to monopolize the market, suddenly the same companies are singing “Kumbaya” and collaborating to make sure their businesses can’t be disrupted down the road. And after reading principle #10, suddenly other items like #7 (“We support fair users fees across all modes”), don’t sound so nice. These companies wouldn’t have to support fair user fees if they weren’t planning on eliminating competition and forcing people to rely on these corporations to move around within cities. 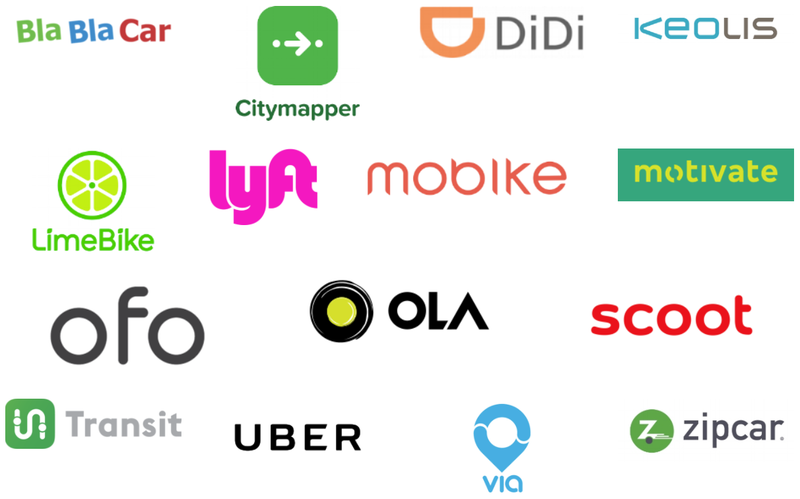 Interestingly, not all of the signatories are car-oriented companies, as other members include bike-sharing and scooter-sharing services such as Limebike and Motivate. For them, it seems like the value of the Shared Mobility pledge would be that if a small group of companies control the roads, customers might turn to more affordable means of transportation like bikes or scooters, where these companies will be eagerly waiting to offer up their services. In principle, the idea of prohibiting private individuals from operating self-driving cars could make a little sense in places like Singapore, which has some of the most congested roads anywhere on the world. That is, until you remember the tiny island nation already has a system in place for preventing too many cars from clogging up the streets, in which potential owners need to obtain a Certificate of Entitlement before even buying a car that can cost upwards of $30,000. Then there are companies like Ford, which is testing a program that allows groups of three to six people to share the lease on a single car, which would help prevent congestion, but without needing give up the right to do your own urban autonomous driving. Even though this partnership is pretty meaningless right now without any legislation backing it (or the tech to make self-driving cars work at a full city scale), the group led by Zipcar Co-Founder Robin Chase clearly has bigger goals. According to its site, the consortium urges “cities, businesses and NGOs to support and apply the principles and engage with the group on how to improve them further,” so we’d probably be wise to shoot down this idea anytime it comes up in the future.